I went away for a while--I've been here in Irvine, CA, and in the past year or so since I last posted on this thing, I've been working on my MFA in Creative Writing, writing stories about alien abductions and Christmas ghosts, and even attempting my first novel (painful, fabulous, terrifying ordeal). 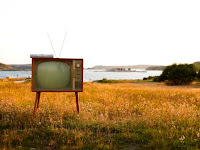 I've been making lots of new friends (who will all be lauded, famous writers someday) and, oh yes, watching lots of TV. The Scooby Gang, the Winchester boys, Bartlett for America, Angel Investigations, our friends at Capeside High, Agents Mulder and Scully, the Dharma Initiative, the Dillon Panthers, the Ad men at Sterling Cooper, Sookie and Bill, Ted Mosby & co., Dunder Mifflin, TGS, those crazy kids at the Dollhouse, McKinley High School in Lima, OH, the Diagnostics team at Princeton-Plainsboro Teaching Hospital, FBI: Fringe Division, Bones and Booth (will they or won't they? ), those proud soldiers aboard the Galactica, and all the millions more whose fictional lives I've indulged in and obsessed over probably far too much and for far too long--THANK YOU. When I moved out here to California, 2000 miles away from home, I started to realize that my life, as blessed as it is in so many ways, will never be a thing of formula or continuity. At least not for a very long time. Words are fickle and unfriendly, and I've sort of given my life to them. I don't think I'll ever really get it back, but that's okay. Anyway, I left home to pursue my dream of becoming a writer, and I started looking for all those things that went away the minute I moved into my semi-drab, furnished apartment in this parking lot civilization called Orange County: continuity, history, something I could go back to again and again, familiar faces and locales, friends and family, and I found television. I fell in love. I couldn't get enough, and I still can't. I watch TV like I read books--hard and with purpose. I analyze everything from the anti-heroes of "Mad Men" to the sibling dynamics in "Supernatural," and I never get bored of it. Ever. I've always liked TV, yes, but this year, it's become a passion, and it was only a matter of time before I started writing about it. Because, well, that's what I do. I used to write film reviews for the Daily Cardinal, THE student-run newspaper at the University of Wisconsin-Madison. (That's right, Badger Herald. You do not count.) I even had my own column for a while. That was one of the most gratifying experiences of my life. I learned so much about film and writing at the Cardinal that I cannot begin to thank the editors and fellow writers/obsessors who I worked with at the Arts Desk and who encouraged me for the better part of three years (Will, Kevin, Dan, Joe, Eunice: You all rock). I've done a lot of writing since then. Fiction, of course, sort of rules my life right now, but I did continue to post film reviews and short essays on this blog up until about August of last year. I have another blog, too, where I posted maybe two essays on literature and Buffy the Vampire Slayer before getting busy and sort of giving up, and the other day, I wrote a ten-page essay FOR FUN on point of view and the merit of "How I Met Your Mother." Anyway, what I'm trying to say is that I love writing about this stuff. I love analyzing television and treating it like art. Because it IS art. Especially now. I don't know if you've noticed, but television is exceptionally good right now. "Mad Men," "Battlestar Galactica," "Friday Night Lights"--these shows are literature. They're playing with us, and they're playing with the way that television works. Remember the meta-fictional, self-reflexive charm that accelerated WB shows such as "Buffy the Vampire Slayer" and "Dawson's Creek" sort of pioneered in the late nineties and early 00s? Well, that charm has been refined, distilled, and concentrated with shows like "Supernatural" and "How I Met Your Mother." This is just one example. I could go on forever right now. But that's what the blog is for. So that I don't. Well, at least not all at once. 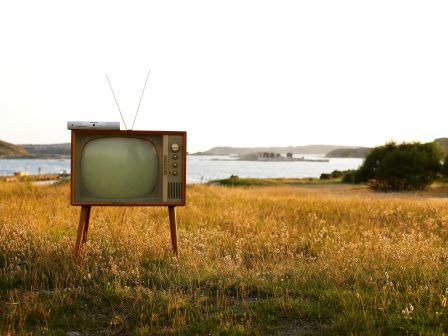 Anyway, once I get this thing going (over Christmas break I hope to put it in full swing), I'll be writing about the literary side of television. There will be some other stuff, too (like random fandom), but mostly, I want this to be a place where my friends and followers who love TV can read about it in the capacity that it is, in fact, literature. It's not low brow, and it's not a distraction. Well, not the shows I like to write about anyway. So, there's more to come, but for now, I'll leave you with this quote from one of the greatest, most influential television heroes of the last twenty years: Homer Simpson.